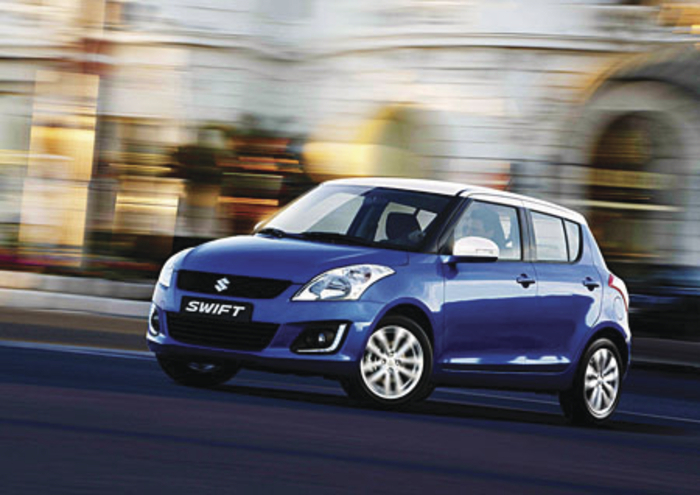 Suzuki 's Swift, which was launched in 2004, has reached cumulative worldwide sales of four million units in August 2014 - nine years and nine months since the start of sales. The Swift reflects Suzuki’s expertise in compact cars and dedication to creating models that are sporty, stylish, and fun to drive. It was first produced and sold in Japan as a world strategic model in November 2004. The following year, production and distribution began in Hungary, India, and China. Full-model change was made in 2010, and production and distribution also began in Thailand in March 2012. The Swift has been close to Ireland’s motoring public’s heart, ever since the launch of the original SA model in 1984. The current model, launched in 2005, has sold more than 4,500 units in Ireland and continues to be a favourite on Irish roads. The Swift has been earning high praise, winning the Continental Irish Car of the Year in 2006, along with various car of the year awards in Japan, as well as in countries worldwide. It is currently produced in eight countries worldwide, and has been sold in more than 140 countries and regions around the world.